Similarly to REM, Oasis occupy a special place in my heart, so selecting a definitive list was borderline impossible. After much head-scratching this lot was cobbled together in near-throwaway frustration, knowing that tomorrow’s selection could be completely different. 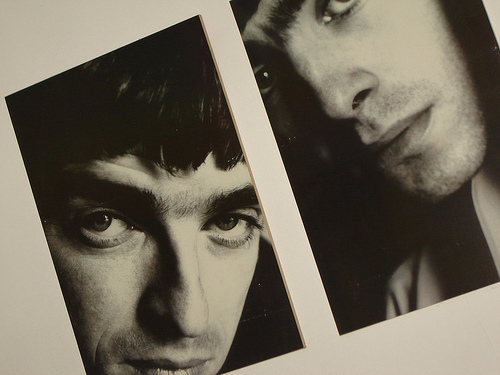 From the beautific, widescreen intro to the finale’s multi-layered vocal harmonies, Slide Away is Oasis‘ crowning glory. 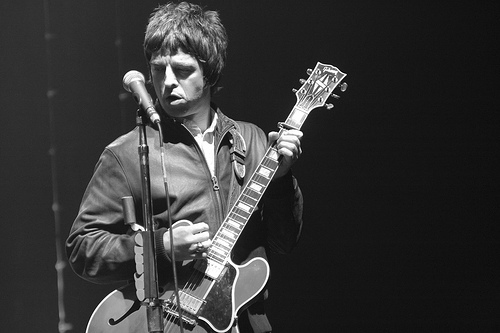 A quintessential Noel solo is backed by Liam’s finest vocal, containing on 3.47 the keening ‘ahhh, let me be the one‘, declaration of adoration capturing Oasis‘ magical emotive power. Seeing this one live with Noel belting out the ‘I don’t know, I don’t care, all I know is you can take me there,’ coda is something else. Oasis songs should hit like a tank. Like Bring It On Down‘s nasty little brother, Headshrinker, is the ultimate snarling four-minute traincrash. Try keeping up with Liam‘s throat-shredding, you’ll be sucking on lemons for a month afterwards. 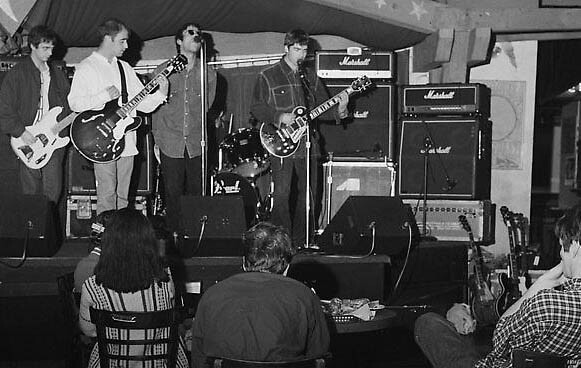 It always strikes me as laziness to compare much of Gallagher‘s early output to the Beatles as Definitely Maybe was much more aligned with shoegaze, punk and raw rock & roll. The Fab Four obsession was conveyed more in interviews and their wardrobe. This, their first white label, is a white-lines induced wall of sound with probably the best groove in their catalogue. Dig out the original on the Supersonic single and just try and stop your body from moving. The first indication they could really go supernova. For all his stick (no pun intended), Tony McCarroll‘s drums on this always get me. 5. Morning Glory – (What’s The Story) Morning Glory? I always think of Apocalypse Now when this kicks off; all roaring hiss, whirring helicopter blades and sweat-drenched fans, and then REM‘s One I Love bass lead thrums in, before WHAM napalm! Hearing 50,000 scream, ‘What’s the story, morning glory,’ is quite something. Like The Roses‘ I Wanna Be Adored, you couldn’t really dream up a better wake up call to open your debut record. Another rocket-fuelled, raging bull. Probably Noel’s most bitter rant and with little brother spitting it back it’s venom is all the more effective. The three-tiered chorus is a belter culminating in the unforgettable lyric, ‘You’ll never forget my name!‘ ‘kin right. It says much for Noel’s incredible consistency and quality that two B-sides from the same single should feature in my top 10. 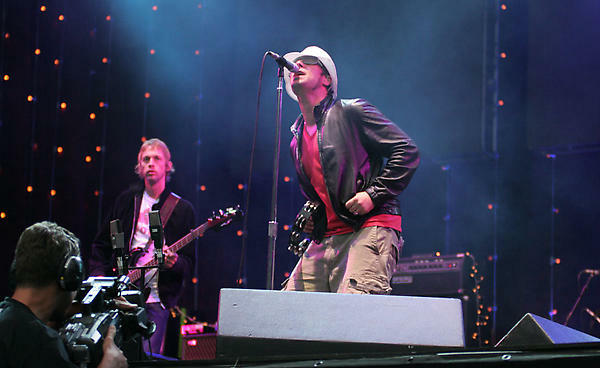 Acquiesce, considered by many to be their finest B-side, and the only track that features both brothers sharing lead vocals, is everything that Oasis are about – soaring guitar-based melodies with timeless lyrics – and in a era when the two seemed to vocally and physically spar with each other on alarming regularity, Acquiesce finds them declaring their love and respect for each other openly and from the soul. One of the great things about Noel, is not only does he love music, he openly discusses his influences and isn’t afraid to confess to openly stealing the odd idea. Around Standing On The Shoulders… he was championing the Beta Band and this tub-thumping lead single melds the rhythm to Inner Meet Me and the campfire strum to Dry The Rain; essentially the Scots finest two tracks melded into one and spat out the Gallagher conveyor belt, resulting in a psychedelic swirl of brilliance. Bonus points for Noel’s ‘here comes the bass‘ cry (which all fans echo when seeing them live) before a booting four-string lick whacks into the mix.